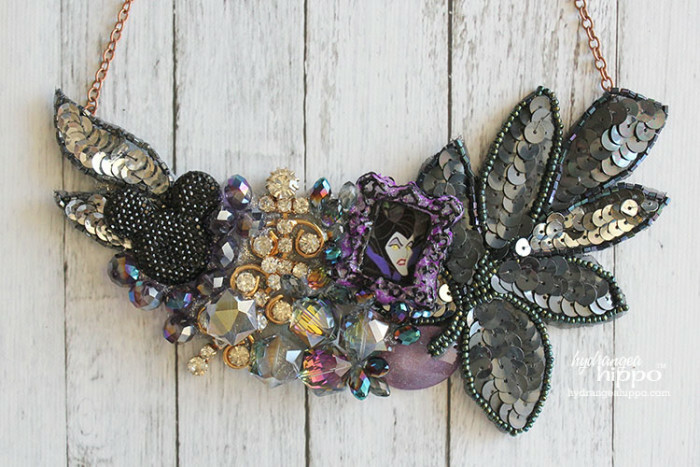 The star of the show on this necklace is the mini framed photo of classic Maleficent from the Disney animated film, “Sleeping Beauty”. I printed the image of Maleficent onto photo paper from an image I found online. The frame was created with the Mod Podge Mod Melter and Mod Podge Mod Molds. What makes the Mod Podge Mod Melter more than a glue gun? The Mod Podge Mod Melter is the new and improved all purpose glue gun designed by Cathie & Steve to improve upon the design of the traditional glue gun. It can be used as an all-purpose, mini high temperature glue gun, but it was also specifically manufactured to be used with Mod Podge Mod Melts to create Mod Mold embellishments, which is how I used it. I had some Mod Molds on hand that I bought last year and I had yet to use them so this was the perfect opportunity to try them out. I loaded some silver glitter Mod Melts (glittery skinny glue sticks) into the Mod Melter and started filling the molds with the Mod Melter. Mod Podge Mod Melts are available in Milk Glass White and Sea Glass Clear, as well as opaque and neon colors, metallics, and even glitters, like the silver glitter Mod Melts I used to make the frame on this necklace. 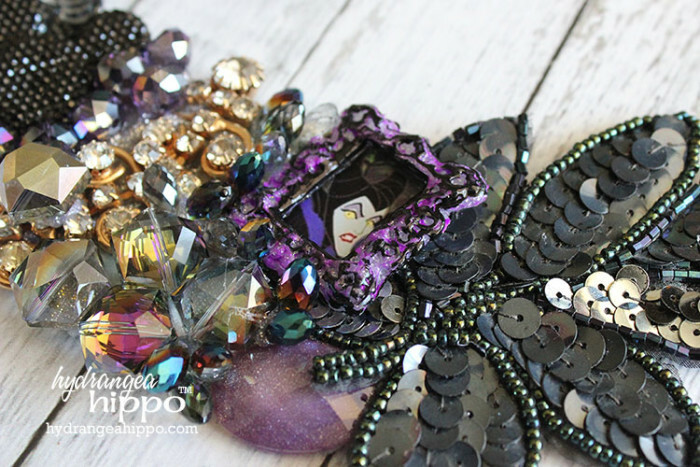 I added some purple acrylic paint and then Smooch Accent ink on top of the silver glitter frame to “age” it and then I added the Maleficent photo. I also used the Mod Melter and silver Mod Melts to attach all of the element to the felt backing of the bib necklace. 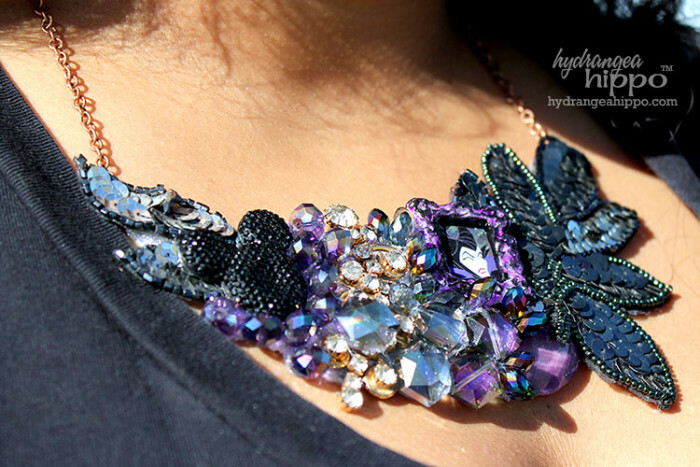 Regular hot glue would be ugly if it showed on a necklace like this but the Mod Melts actually add extra sparkle, shine, and dimension to the project! 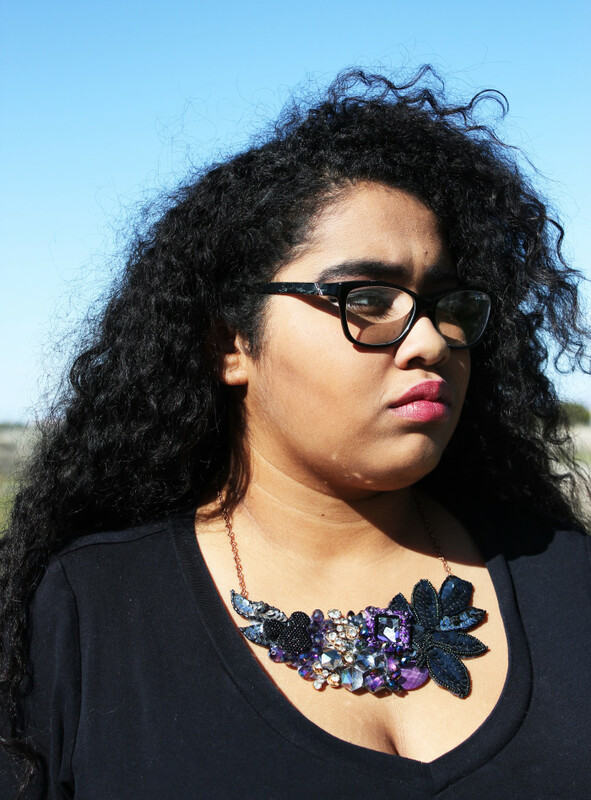 I've seen a few bib necklaces in person and on Pinterest that are made with hot glue but they always look kind of tacky because you can see the glue. With Mod Melts, they look much better and I can see myself making lots more of these in the future! I also love that the Mod Melt's don't interfere with the iridescence or facets on the beads I used. You’re going to have me DIY-ing with your posts! LOVE LOVE LOVE this! this is such a pretty necklace! !